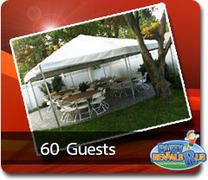 Looking to save on your next party equipment rental!! 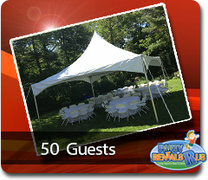 Check out our great complete tent,tables and chairs packages, where you can save a couple of dollars, and still get the same service that Party Rentals R Us provides. All tent packages come with free set-up and delivery up to 15 miles. Browse the selections below and click on the title or image for more information and to make a reservation.